My last art project is due this week. Then I'm finished for the semester with the studio part of the class. I'm one of those people that works best under deadlines - even in my art. Especially with my art. 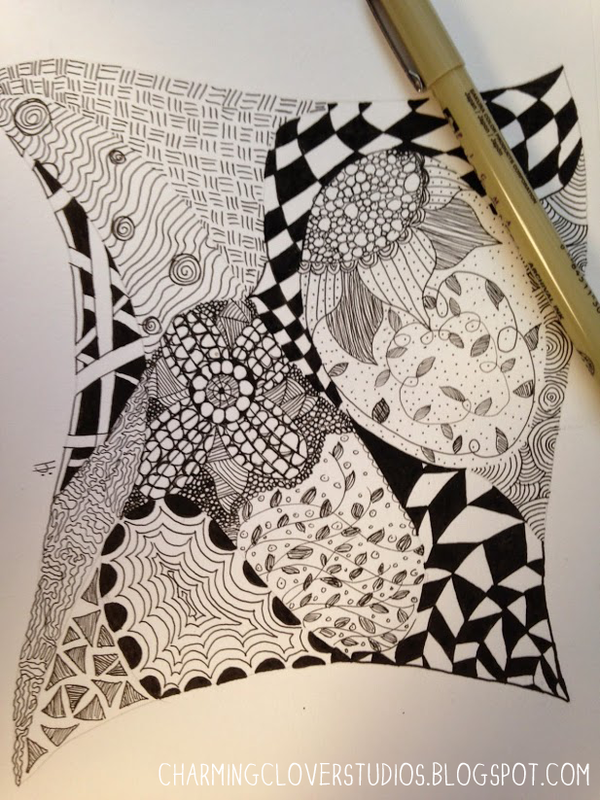 So as a way to help me keep my creativity flowing, and as a way to help me keep growing in my art (because, let's face it, patterns are not my strong suit), I've picked up a book and a ton of pins on Pintrest about Zentangles. 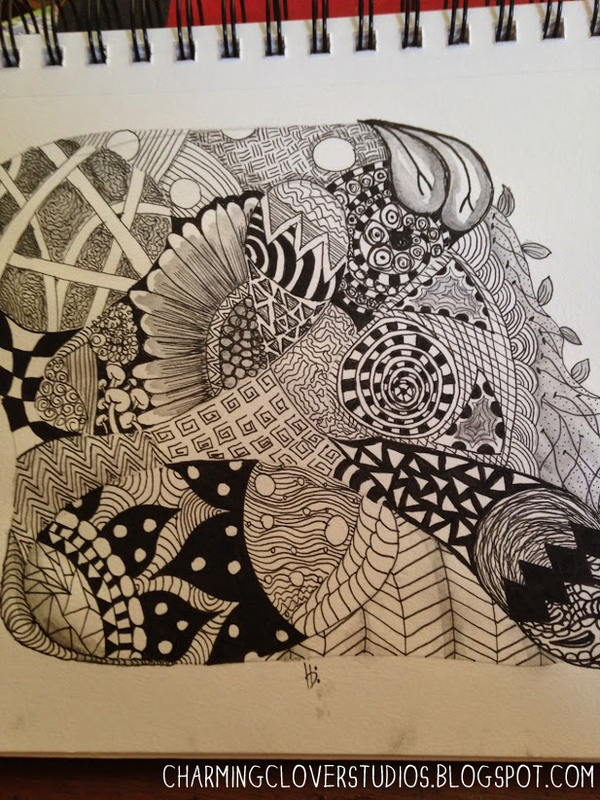 Zentangles are fun little doodles that can be as intricate or as simple as you want. And I have to admit, they're really quite fun. Something I can pull out and work on while at the park, waiting on supper to cook or arrive, in between classes, or where and whenever. And as the name implies, they are very meditative. I find that if I'm aggravated about something or my ADD is kicking too high, that a few minutes of zentangling will calm me right down. They're super easy to do, all you need is a blank sheet of paper and a pen. I use my Micron set, but Faber-Castel Pitt Pens, Sharpies, or a good ol' ball point would work as well. I'm off to do some laundry - I'm down to nothing but dressy clothes, and that is something that I definitely shouldn't be stuck with!! Y'all have a great day!